We normally don’t like cities much. They’re generally crowded by overtourism, congested with traffic, and homogenized by the rise of globalization. To get the feel of the soul of a destination, you really need to get outside the major cities, see the area’s natural beauty, and connect with local communities. Still, we couldn’t travel to the Czech Republic and not visit Prague, the cultural heart of Bohemian central Europe. After all, the capital city’s history includes the Romanesque, Gothic, Renaissance, and Baroque eras, and the entire Historic Centre of Prague is a protected UNESCO World Heritage Site. 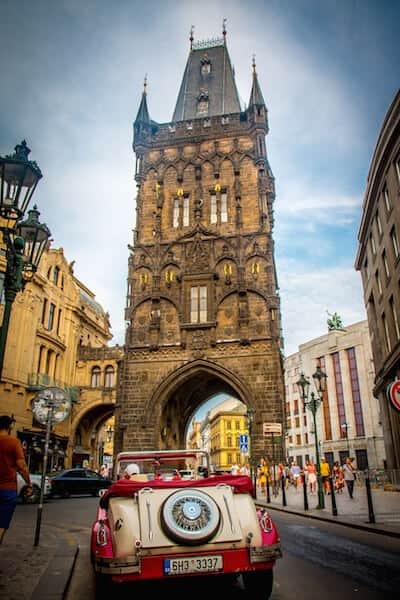 So when we found out that ThinkPrague offers fully customized Prague tours with your own private local guide, we jumped at the opportunity to explore the best things to do in Prague. Unfortunately, after spending five days at the TBEX conference in Ostrava and another four traveling around the South Bohemia region, we only had one day left to see the city’s highlights. 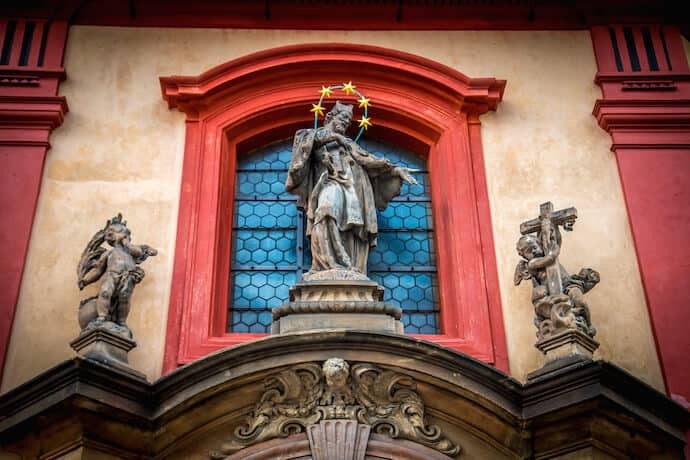 If we were to do it again, we’d definitely spend a whole weekend in Prague, allowing us more time to explore some of our favorite attractions (such as the Prague Castle exhibitions and St. Vitus Cathedral) in-depth. But our guide, Ales Pitin, seemed to relish the challenge of giving us a condensed look at where to go and what to do in Prague. Based on our interest in ecotourism, history, and culture, he put together an amazing Prague walking tour that encompassed dozens of impressive attractions. What follows is a detailed itinerary for seeing the best of Prague in 3 days. It takes in most of the city’s most important attractions, yet allows plenty of time for touring the individual gardens, churches, and other historic sites you’ll see along the way. Located at an elevation of 1,073 feet smack dab in the center of the city, Petrin Hill is a great place to begin your weekend in Prague. 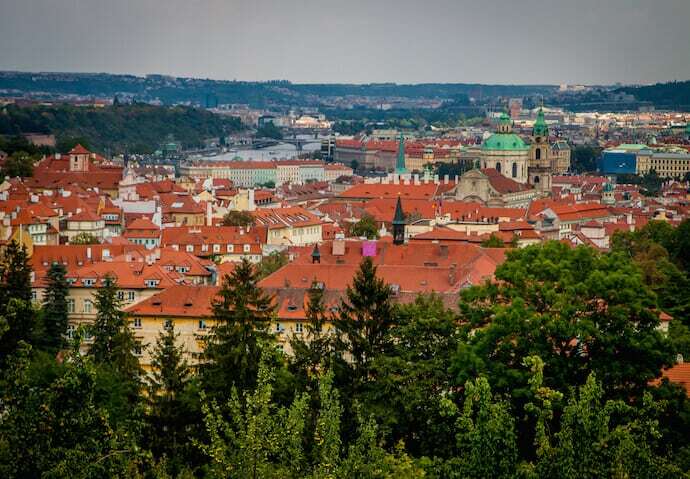 Easily the city’s largest green space, Petrin is covered in parks, and offers exceptional views of the Malá Strana, Prague Castle, and the Vltava River. The historic hill, which was named after its abundance of marlstone rocks (petrus is Latin for rocks), has been important to locals since the mid-1300s. That’s when a Medieval defense wall– known as the Hunger Wall because it provided jobs for the poor during a famine– was ordered to be built on Petrin Hill by King Charles IV. Petrin featured prominently in author Franz Kafka’s early short story, “Description of a Struggle,” and was mentioned in the Milan Kundera novel The Unbearable Lightness of Being. Now spending a day on Petrin Hill easily ranks among the best things to do in Prague. It’s a beloved recreation area for locals, as well as a popular Prague tourist attraction. Here’s an overview of the many things there are to see and do on Petrin Hill during your Prague vacation. 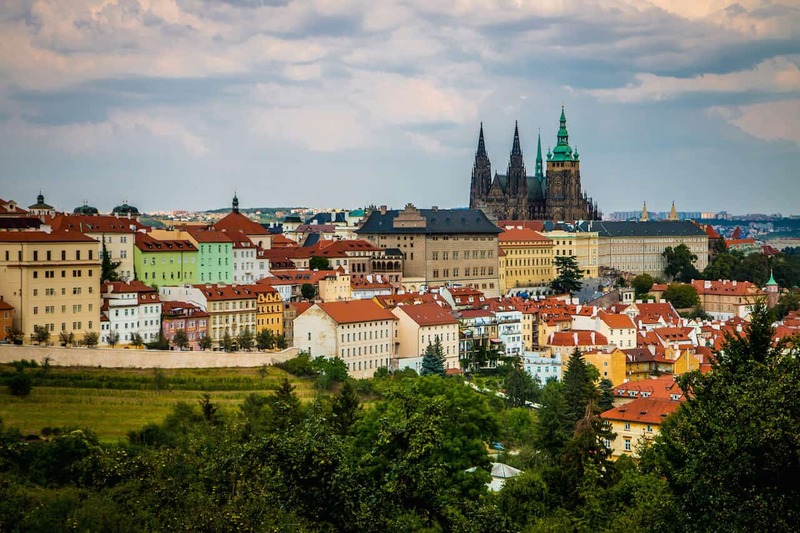 If you only spend a few days in Prague before heading off to another country, you might not realize that the Czech Republic was under a fairly brutal communist rule from 1948 to 1989. Located at the base of Petrin Hill in Old Town Prague, the Memorial to the Victims of Communism pays tribute to the political prisoners who became victims of the oppressive regime. Created by Czech sculptor Olbram Zoubek and architects Jan Kerel and Zdeněk Holzel, the public art piece was unveiled in 2002. The installation is striking, to say the least, featuring seven bronze statues descending a flight of stairs. 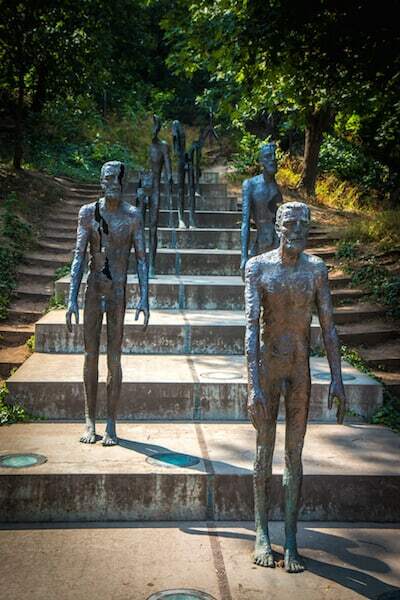 The further away the figures are, the more decayed their bodies appear, with missing limbs and bodies broken open to represent the impact communism had on Czech people. You’ll pass the memorial en route to the Petrin Funicular, but it’s worth stopping to see. Don’t miss the harrowing stats on the bronze strip that runs down the center. 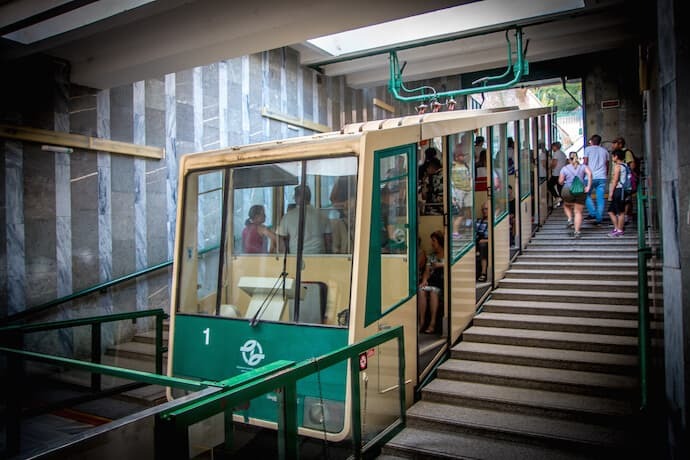 If your sightseeing in Prague includes a visit to Petrin Hill, as it should, taking the Petrin Funicular Railway (a.k.a. the Prague Funicular) to the top is an absolute must. It’s fast, affordable, easier than climbing all the way up a 30º incline, and also offers a stellar scenic view of Old Town Prague. The funicular opened in 1891, and was originally shorter and powered by water balance propulsion. It closed at the start of WWI in 1914, then reopened after renovations in 1932. Service was suspended again in 1965 after a landslide on Petrin Hill, opening with new cars, an electric motor, and a new track in 1985. Today the railway has three stops, but most people get on at the Újezd station at the bottom of the hill, which is in the Malá Strana district. It runs from 9AM to around 11:30PM, with departures leaving every 15 minutes or so. Tickets cost the same as the Prague tram– 26 CZK (about $1.14). Be aware that there may be long lines on the weekend when the weather is warm, as Prague locals love spending the day on Petrin Hill with friends and family. If you do the same, consider packing your lunch, as it’s an excellent place for a picnic! Much of Petrin Hill has been divided up into beautifully landscaped gardens, many of which have been cultivated for nearly 200 years. The largest (Kinský Garden) is outside the Hunger Wall, while the oldest (Lobkowicz Garden) is part of the German embassy and not open to visitors. Of the Petrin gardens you can explore, the 8-hectare Nebozízek Garden is the biggest, spreading from the foot of Petrin Hill to the upper funicular station. Originally an orchard, it was modified into a garden and opened for public use in 1842. In addition to a gorgeous array of flowers, the garden is home to sculptured monuments to famous Czechs such as composer Vítězslav Novák. Built in 1836, the park around the Petřín Tower encompasses about 2.5 hectares on the plateau of Petrin Hill. It was modified from 1933 to 1937 and connected with the Seminary Garden, which was formerly the garden of the White Friars from the Church of Our Lady of Victory. You can see a bronze monument to renowned Czech writer Jan Neruda there. 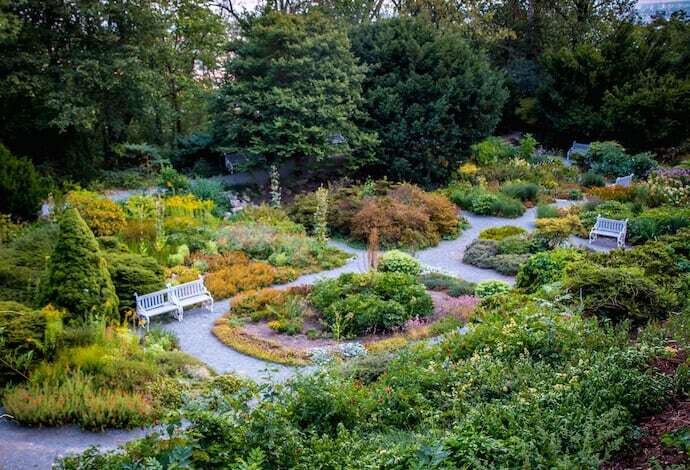 The newest garden in Petrin Park is the Rose Garden, which covers about 5.6 hectares on top of Petrin Hill. It replaced what used to be military land in 1934, and includes three sections as well as sculptures by Czech artist Ladislav Šaloun. There’s also a beautiful garden filled with thousands of perennials and bulb flowers. Collectively, this oasis of fabulous flora was definitely among our favorite Prague highlights. The Petrin Tower is a historic Prague landmark that can be seen from virtually any part of the city. Especially at night, when its resemblance to the illuminated Eiffel Tower really makes it stand out. 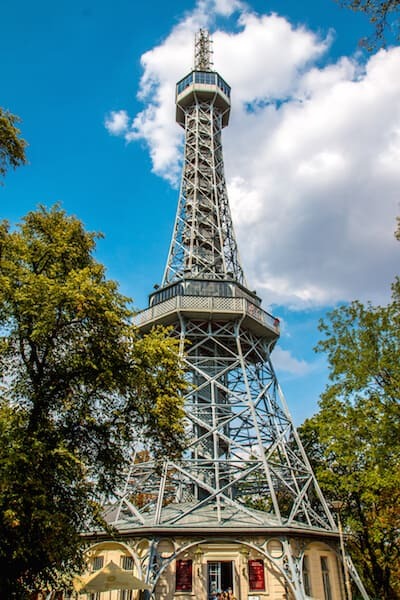 Also commonly known as the Petrin Observation Tower or the Petrin Lookout Tower, the 208-foot-tall steel frame attraction was built in 1891 for the General Land Centennial Exhibition. Its design was directly inspired by Eiffel’s, which members of a local Czech travel club had seen at the 1889 World Expo in Paris. Unlike its French counterpart, the Petřínská rozhledna (as it is known in the Czech language) has an octagonal cross-section. Under its legs is the entrance hall, where visitors can pay 50 CZK ($2.20) to climb the 299 steps up to two observation platforms. There’s also an elevator to the top that costs around 50¢ more, but it was broken when we visited. The views of the city from the top are spectacular, but be aware that this is one of Prague’s most popular tourist attractions. Lines can get long, but there’s a small exhibition area you can check out while you wait, as well as a a small gift shop and cafeteria on the main level. 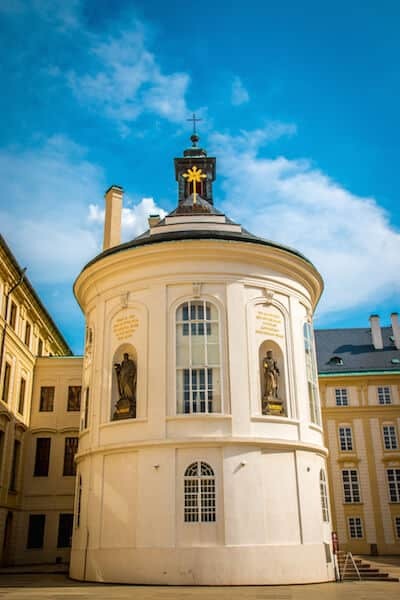 Located right next to the Petrin Lookout Tower and the Hunger Wall, the Cathedral of St Lawrence served as the Czech Republic’s primary church of the Old Catholic faith for centuries. Local legend holds that the church (which is known as Kostel sv. Vavřince in the Czech language) was built sometime in the 10th century on a hilltop site once held sacred by pagan Slavs. The earliest written record of the church dates back to 1135 and is attributed to Duke Soběslav I. The St Lawrence church was originally built on a Romanesque style, and the walls of that single-nave building remain intact today. Prominent architect Killian Ignaz Dientzenhofer (who also worked on St. Loreto Church in Hradčany and St. Nicholas Church on Prague’s Old Town Square) rebuilt and expanded the church in the Baroque style in the early 1700s. Noteworthy features on the exterior of the cathedral include statues of the Holy Trinity, St Adalbert, St John of Nepomuk, and St Mary Magdalene. On the inside of the cathedral you’ll find a painting of St. Lawrence’s martyrdom by Jean Claude Monnot. And next to the church is a Calvary chapel built in the 1730s, which has a gorgeous sgraffito etching of Christ’s resurrection. With its Disney-style castle exterior and wacky hall of mirrors on the inside, this is arguably one of the most fun things to do in Prague with kids. 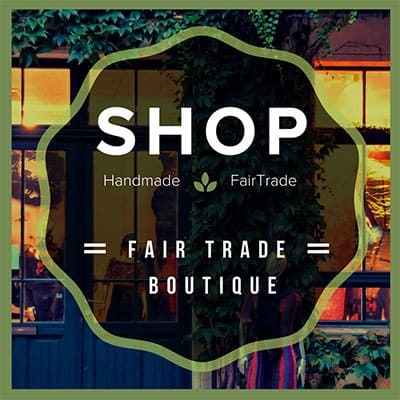 The entrance fee is 90CZK ($4) per person, or 250 CZK (around $11) for the whole family. 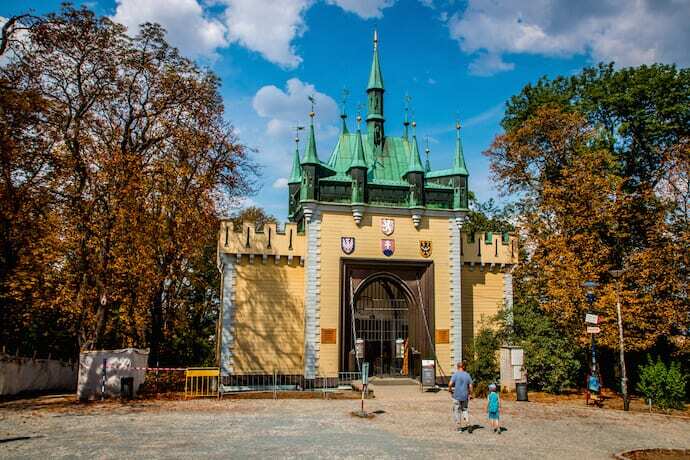 Known locally as the Zrcadlové bludiště Petřín, the Mirror Maze was built around the same time as the Petrin Tower for the Czech Tourists Club pavilion at the Prague Jubilee exhibition of 1891. It was originally installed at a different location, then moved to Petrin Hill two years later. Designed by Czech architect Antonín Wiehl (a leading figure in the country’s neo-Renaissance in the late 19th century), the building was inspired by a similar tourist attraction in Vienna. In addition to the main maze, the Prague Mirror Maze includes 14 different convex and concave mirrors, which were added later. We had a fun time seeing ourselves stretched and squatted by the illusion. For history lovers, the highlight of the attraction is a huge diorama at the end. 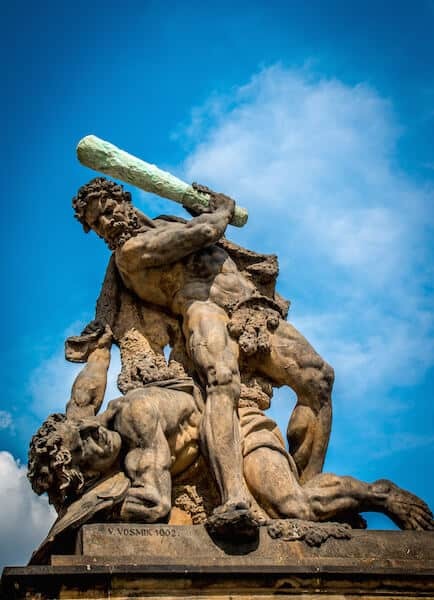 It features an 80-square-meter painting that depicts that battle between Prague locals and invading Swedes on the famous Charles Bridge in 1648. Painted by brothers Adolf and Karel Liebscher in just 50 days, the diorama offers an epic glimpse of how the left bank of the Vltava River looked in the 17th century. The Hradčany district (a.k.a. the Castle District), is the area that surrounds Prague Castle. Because of this proximity, the district is dominated by spectacular scenery and noble palaces of historical importance. Many of these are now part of Prague’s National Gallery collection of art exhibition halls. Our guide included numerous Hradčany attractions in our Prague walking tour, as we made our way down the Strahovska from Petrin Hill and made our way towards the castle. If you have a full 3-day weekend in Prague, you might have time to explore the district at the end of your day on Petrin Hill. But given the variety of Petrin attractions, we recommend touring the Hradčany district in the early morning, then spending the rest of the day visiting the castle complex. This stunning church, which was designed by Italian architect Giovanni Orsi and financed by local noblewoman Kateřina Benigna, dates back to 1626. The original church was surrounded by cloisters in the late 1600s, with K.I. Dientzenhofer adding an upper level and a baroque facade in the early 18th century. The church has since become a popular pilgrimage destination for Christians from all around the world. It’s easy to see why just from looking at the cathedral’s exterior, which boasts gleaming green and gold spires, dozens of statues, and the famous clocktower. It’s the latter feature for which the church is arguably most famous. The clock was constructed in 1694 by watchmaker Peter Neumann, with thirty bells of varying sizes. Its melodious chime can be heard throughout the Hradčany district every hour. Touring the Loreto Church is surprisingly pricy– admission is 150 CZK (nearly $7) for adults, or 310 CZK (nearly $14) for families. But it does house an impressive collection of liturgical tools, and you can often see intriguing exhibitions on the first floor of the cloister. Although currently closed to the public for renovations, Schwarzenberg Palace is one of the most beautiful early Renaissance-style palaces in Prague. Located around the corner from Prague Castle in Hradcanske Square, the striking t-shaped mansion was built for wealthy Bohemian nobleman Jan Popel of Lobkowicz. Construction of the main building lasted from 1545 to 1567, while the west wing was finished several years later. The most distinctive feature of Schwarzenberg Palace is the black-on-white sgraffito (a method of etching that reveals color underneath) designs that adorn its walls. Built by Agostino Galli, with clear northern Italian and Venetian influences, it looks more like a castle than a true palace. Inside, the palace’s ceilings are decorated with classic paintings (including The Conquer of Troy, The Judgment of Paris, and The Kidnap of Helen), all of which date back to 1580. When the attraction reopens on September 13, 2019, it will include a new permanent exhibit, Old Masters. The exhibit will feature art by icons such as El Greco, Francisco José Goya, Rembrandt van Rijn, Peter Paul Rubens, and many others from the 16th to 18th century. 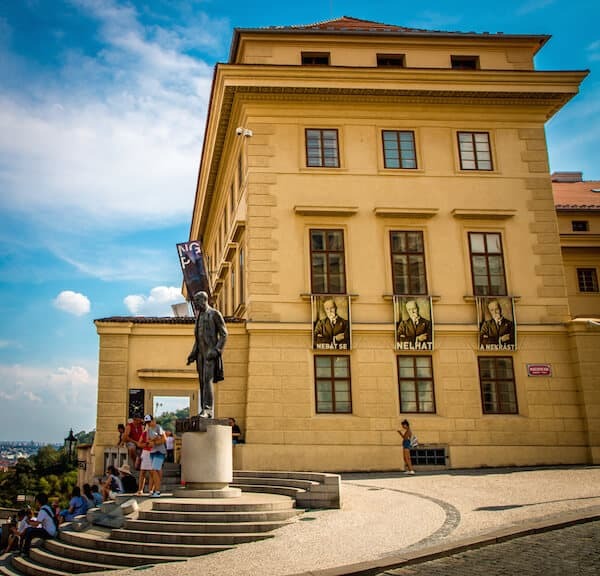 Owned by the National Gallery Prague, the palace offers free admission to children and students under 26 years old. For everyone else, a CZK 500 ($22.30 US) ticket gets you entry to all of the National Gallery’s permanent exhibitions (details below) for 10 days after purchase. It wasn’t until we reached the National Gallery, which is directly across the street from the Prague Castle entrance, that I realized how brilliant our Think Prague tour itinerary was. By starting our walking tour at Petrin Hill and not arriving to the castle until late afternoon, Ales ensured we avoided the masses. There was a small crowd on the National Gallery steps next to a statue of Tomáš Garrigue Masaryk (who is considered the father of the Czech Republic), but it wasn’t anywhere near as bad as the elbow-to-elbow overtourism we were expecting. These cultural connoisseurs established Prague’s Academy of Fine Arts and the Picture Gallery of the Society of Patriotic Friends of the Arts. In 1902 Franz Joseph I (leader of the Austro-Hungarian Empire) created the Modern Gallery of the Kingdom of Bohemia, a private foundation devoted to collecting 20th century art. By 1919 the Picture Gallery has begun to create a central art collection for the newly independent country of Czechoslovakia. And in 1942, after the Modern Gallery was abolished, the Nationally Gallery (then officially known as the Czech-Moravian Land Gallery ) was established. Now, in addition to the main gallery, the National Gallery also has exhibitions at the Convent of St. Agnes of Bohemia, Schwarzenberg Palace, Sternberg Palace, and the Trade Fair Palace at one low price. Prague Castle is arguably the most important of all Czech Republic attractions. 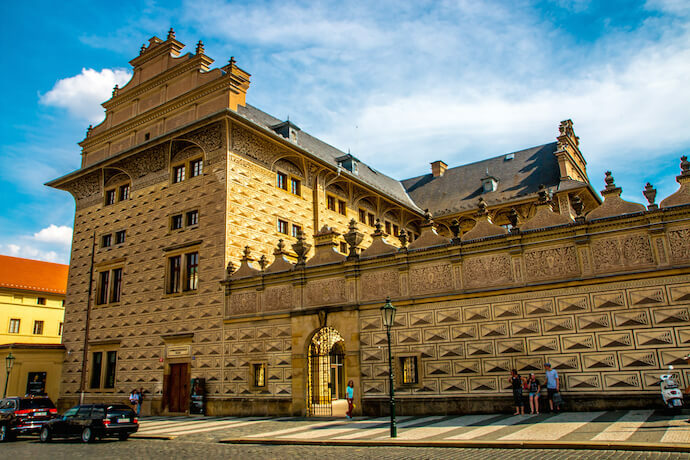 In addition to being the President’s official office/residence, it has been a seat of power for Kings of Bohemia and Holy Roman Emperors since the 9th century. It’s also where the Bohemian Crown Jewels are kept hidden. Taking a Prague Castle tour ranks high on most people’s lists of the best things to do in Prague. While ThinkPrague offers a 3-hour walking tour, we would personally recommend spending at least half a day there. It is, after all, the largest castle complex in the world! Doing so would allow you to spend a little more time at each attraction, or perhaps take a more leisurely (and detailed) audio tour of the Prague Castle complex. We left really wishing we had time for a tour of the inside of St. Vitus Cathedral, which is arguably the world’s greatest example of Gothic architecture. Its famous stained glass windows are truly masterful works of art that we could stare at for hours. Admission to the castle complex is free, but be aware that there is a wait to get through the security line during peak times. Here’s a look at the ticket prices if you want to explore inside its major attractions. More details on the individual attractions follow. Other Gardens: Open daily 10 AM to 6 PM. The main entrance into the Prague Castle complex is called the Gate of Giants (Brána gigantu). It’s named after the ginormous statues of battling giants that frame both sides of the Rococo grille gate. The Gate of Giants was designed by architect Niccolo Pacassi in the latter 18th century during the reconstruction of the Royal residence, with original statues sculpted by Ignác František Platzer. The gate separates the 1st Courtyard of the castle (the Court d´honneur) from Hradcany Square, with grey-and-white guard boxes at the base of each statue. There’s a ceremonial changing of the guards daily at noon, but from all accounts it’s not anything worth timing your Prague Castle tour to. Just past the Gate of Giants is the huge stone Matthias Gate, which separates the first and second courtyards of Prague Castle. It’s named after Matthias, who was Holy Roman Emperor and King of Bohemia from 1611 to 1617. Matthias’ Gate is noteworthy because it was the first Baroque structure installed at Prague Castle. The gate’s gable includes a list of the Emperor’s titles (he was also King of Hungary and Croatia), coats of arms of the lands that he ruled, gryphons, and more intriguing details. 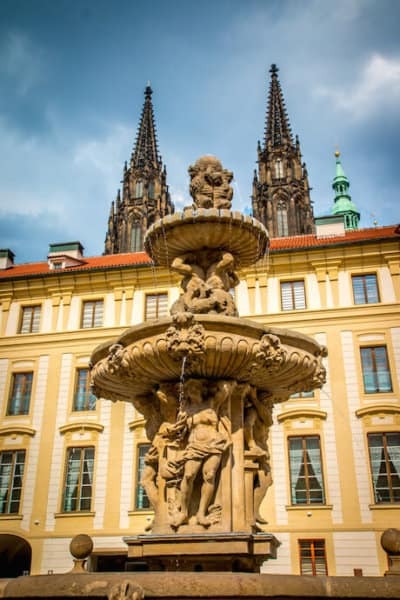 Once you pass through the gates and enter the second Prague Castle Courtyard, you’ll notice a large, lavishly decorated fountain right near the center. It’s often called the Lion’s Fountain (because of the lion statues on the center) or Leopold’s Fountain because it was built in 1686, during the reign of Emperor Leopold I). But it’s actually named after sculptor Jeroným Kohl, who built the beautiful Baroque fountain with an Italian stonemason named F. della Torre. Kohl’s work includes several statues on Prague’s famous Charles Bridge as well as various other fountains and sculptures. Fed by an ancient pipe, the fountain historically brought water to the castle from nearby streams and ponds. Behind it are some of the largest rooms in the castle, where the President of the Czech Republic often meets with foreign dignitaries. To the left you’ll find the Prague Castle Picture Gallery and a corridor leading to the Imperial Stables and the Royal Garden. Surrounding the garden you’ll find the Riding School, Ball Game Hall, Orangery (greenhouse), and Royal Summer Palace, not to mention a great view of St Vitus Cathedral. Also located in the castle’s second courtyard, you’ll find the white Chapel of the Holy Cross. It was originally built in the Baroque style between 1758 and 1763, then rebuilt in the Classicist style in the 19th century for Emperor Ferdinand I.
Noteworthy features found inside the chapel include a high altar from the Baroque era, a life-sized painting of Christ’s crucifixion created by František A. Palko in 1762, sculptures by I. F. Platzer, and impressive paintings featuring famous scenes from both the Old and New Testaments. The church became known as the Treasury in the early 1960s, after it was turned into an exhibition space for the “Treasure of St Vitus Cathedral” exhibition. This permanent exhibit includes the most valuable items collected by the Cathedral of St Vitus, St Wenceslas, and St Adalbert over the last 1000 years or so. These include an array of jewels, liturgical items, embroidered vestments, shrines, and other priceless objects made from silver and gold. 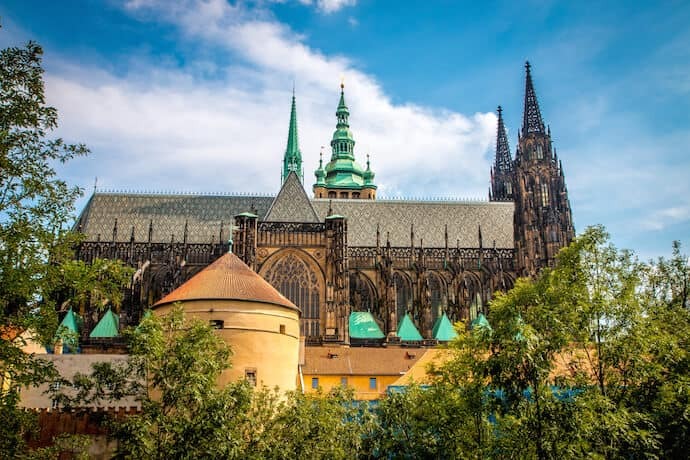 The exhibit is included as part of Prague Castle’s Circuit C ticket package (which also includes the Prague Castle Picture Gallery), which is CZK 350 (around $15.50) for adults, CZK 175 (around $7.75) for students and seniors, or CZK 700 (around $30) for families. Words cannot adequately express the intricate detail of this gorgeous Gothic landmark, which is more formally known as the Metropolitan Cathedral of Saints Vitus, Wenceslaus and Adalbert. You don’t have to be Catholic, or even religious, to recognize it as one of the world’s most stunning architectural marvels. 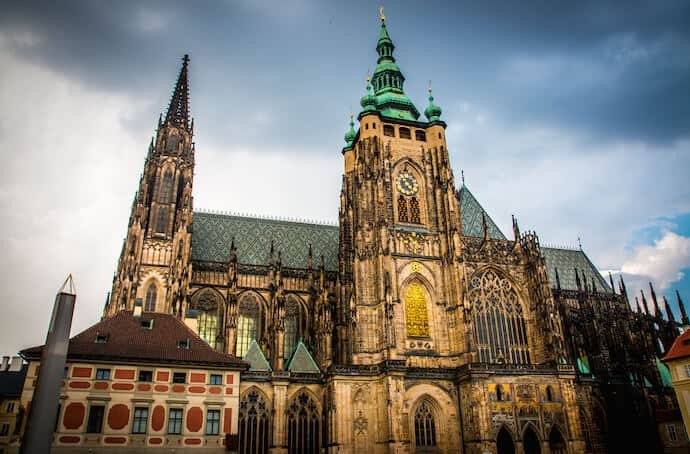 It’s the largest church in the Czech Republic: The Cathedral measures 407 ft × 197 ft, with a 337-ft main tower, 269-foot front towers, and a 109-ft tall arch. 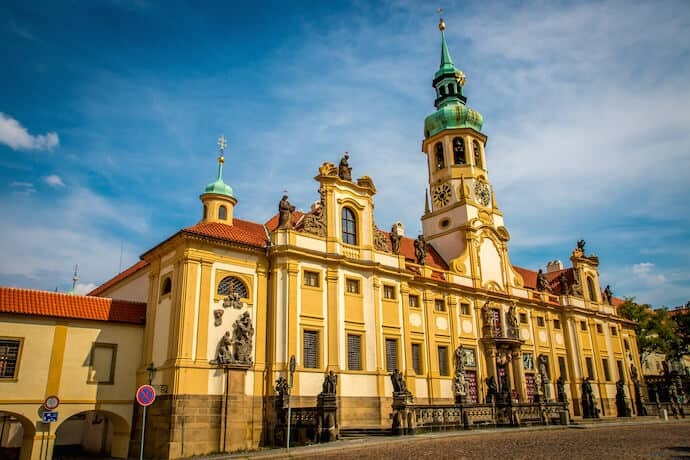 It’s also by far the most important, as the historic seat of the Archbishop of Prague and home to tombs of numerous Bohemian kings and Holy Roman Emperors. The current building is the third on this ancient site, all of which have been dedicated to Saint Vitus. The Italian saint, a martyr who died during the Roman persecution of Christians circa 303 AD, was the sole name on the current church before its 1997 rededication. The triple dedication marked a return to that of the previous Romanesque basilica in 1038. Construction of the current Cathedral began in 1344, with King John of Bohemia laying the foundation stone. St. Vitus was designed to be a coronation church, family crypt, a pilgrimage site for patron St. Wenceslaus (whose relics remain in the chapel named after him), and a treasury for the priceless relics of Bohemia. Work on the Cathedral continued off and on for centuries, throughout the Renaissance and Baroque periods. In the mid-19th century, a “Union for Completion of the Cathedral of St. Vitus in Prague” was formed for that purpose. The Cathedral wasn’t ultimately finished until just before the St. Wenceslas jubilee in 1929, nearly 600 years after it started. You could spend hours just admiring at this ancient architectural marvel from the outside. But seeing stunning photos of the interior stained glass windows, Cathedral nave and sanctuary, and St. Wenceslas Chapel left us deeply regretting not taking the full tour. If you visit Prague Castle, I urge you not to make the same mistake we did! Known locally as Bazilika Sv. Jiří, this is the oldest surviving church building in Prague Castle. St. George’s Basilica was founded in 920 by Prince Vratislaus I, the father of St. Wenceslas (the patron saint of Bohemia, made famous by the Christmas carol “Good King Wenceslas”). The church was considerably enlarged when the Benedictine St. George’s Abbey was added in 973. It was later rebuilt in the Romanesque style, with an apse and two steeples, after a major fire devastated the Basilica in 1142. The current Baroque façade was added in the late 17th century (around the same time the convent was reconstructed), and architect F.M. Kanka added the Baroque Chapel of St. John Nepomuk in the early 18h century. On the inside, you’ll find St. George’s tomb in a Gothic-style chapel, as well as shrines to Prince Vratislav and Duke Boleslaus II of Bohemia. The building also houses the National Gallery’s 19th century Bohemian Art Collection, and occasionally serves as a concert hall. Tours inside the Basilica are included in Circuit A and Circuit B Prague Castle tickets. The Golden Lane was the first place in Prague where we felt the impact mass tourism was having on the city. 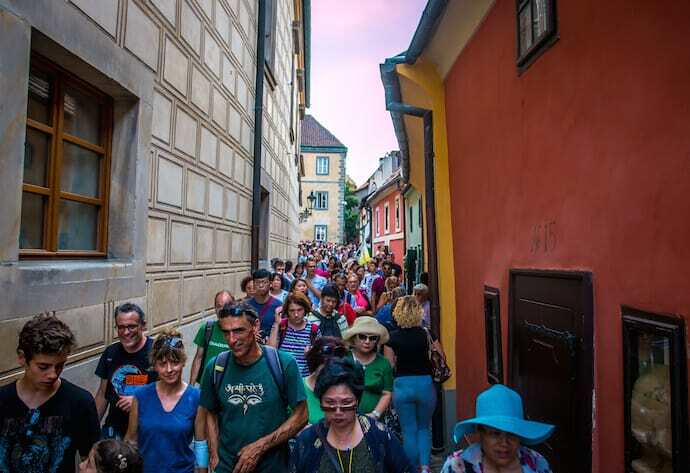 Our ThinkPrague tour guide told us the crowds were relatively light that day, but the historic street was packed with people rushing to exit the castle complex. Known locally as Zlatá ulička, the Golden Lane was built during the reign of Holy Roman Emperor Rudolf II (who reigned as King of Bohemia from 1575 to 1611). It was originally constructed as a home for the king’s guards, but it’s named for the goldsmiths who lived along the street in the 17th century. The street’s houses have also served as home to some of the Czech Republic’s most famous writers. Franz Kafka‘s sister owned #22, and the iconic author worked there for nearly two years (much of 1916 and 1917). Nobel Prize-winning poet Jaroslav Seifert lied on Golden Lane in 1929. These houses were all painted in bright colors in the 1950s. Most of them have now been turned into souvenir stores, but the jostling crowds were too intense for us to be in the shopping mood. There’s also a museum of medieval armory and Daliborka Tower (which was a prison from 1496 to 1781) accessible from Golden Lane. You’ll find stunning views of Old Town Prague from the Vyhlídka u Černé věže (Observation Deck) right as you exit the castle. As you descend the Prague Castle hill and make your way east towards the Vltava River, you enter the district known as the Malá Strana, which is Czech for Little Side (of the River). Also known as Menší Město Pražské (Lesser Town of Prague), this district was created by Bohemian King Ottokar II in 1257. It was historically home to ethnic German people, with more palaces for nobles than the Bohemian Old Town, which is located on the east side of the river. After it was devastated by a fire in 1541, the Lesser Town was rebuilt in the Baroque style. We didn’t have time to visit most of the popular Mala Strana attractions, such as Wallenstein Palace, Waldstein Palace (home to the Czech Senate), or the Franz Kafka Museum. But we did check out the St. Nicolas Church and the John Lennon Wall, which we’ll discuss below. After crossing the crowded Charles Bridge– which was teeming with tourists even at sunset– we made our way into the more Bohemian Old Town Prague. This part of the city (known locally as Staré Město Pražské) dates back to the 9th century, with merchant trade contributing to great wealth over the centuries. 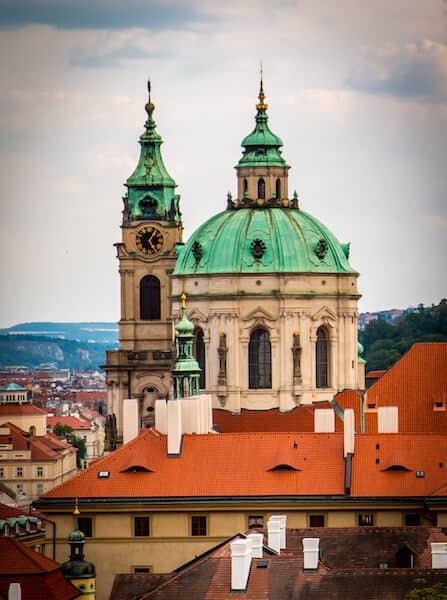 Just as the gothic spires of St. Vitus Cathedral stand out above the Prague Castle landscape, so does the green and gold dome of St. Nicholas Church in the Malá Strana district. The church is named after the Greek Christian bishop, Saint Nicholas, who was born sometime around 280 A.D. in what we now know as Turkey. He was famous for his generous gift-gifting, and ultimately became the inspiration for the legends of Santa Claus and Father Christmas. The church was constructed over the course of 100 years on the site of a Gothic church that had been built in 1283. It was designed by Kryštof Dientzenhofer, Kilián Ignác Dientzenhofer and Anselmo Lurago (father, son, and son-in-law), whose architecture evokes Late Gothic and Baroque influences. Built by a Jesuit named Thomas Schwarz from 1745 to 1747, the church’s immense main organ is comprised of more than 4,000 pipes, which range in lengths up to 20 feet. It was once played by iconic composer Wolfgang Amadeus Mozart during his stay in Prague. Music remains a key aspect of the church’s programming. It will host more than 200 concerts between March 2019 and January 2020. Located at the Grand Priory Square in the Malá Strana, the John Lennon Wall has become an increasingly popular Prague attraction for tourists over the past 40 years. The tradition started in 1980, when a local artist painted an image of the assassinated Beatles icon along with some of his lyrics in tribute to Lennon’s untimely death. Eventually the wall was filled with messages of love, peace, and, eventually, politics. 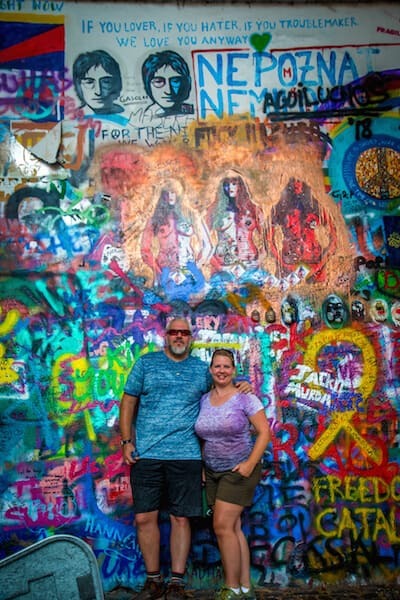 The Lennon Wall became a bone of contention for Gustáv Husák’s communist regime in the late ’80s, as young Czech revolutionaries began airing their grievances there. This ultimately led to a showdown between hundreds of students and police on the nearby Charles Bridge. The wall (which is owned by the Sovereign Military Order of Malta) is constantly changing. In 2014, on the 25th anniversary of the Czech Republic’s Velvet Revolution against communist rule, it was painted completely white by local students. Only the words “WALL IS OVER” (a clever twist on Lennon’s “War is Over” Christmas classic) remained. Although the original portrait of John Lennon may be long gone and local authorities sometimes repaint it, the singer/songwriter’s image and words always have a place on the wall. And for those who believe in his philosophy of non-violent revolution, it’s a perfect Prague pilgrimage. Next to Prague Castle, the Charles Bridge is arguably the most popular Prague attraction. 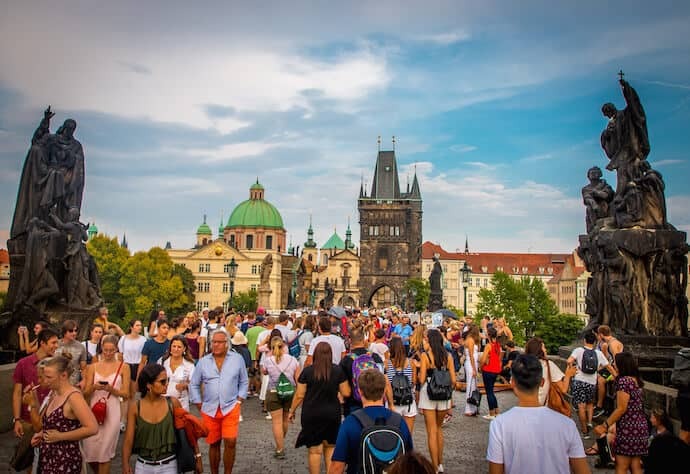 It’s easy to see why: Connecting the Malá Strana with Old Town Prague and packed with artists, musicians, and ancient statues, it’s an incredible place to hang out, connect with locals, and gaze out over the Vltava River. Unfortunately, it’s also incredibly crowded as a result. Originally known as Prague Bridge, this landmark was constructed during the reign of King Charles IV. Interestingly, the first stone was laid by Charles (a.k.a Wenceslaus) himself at precisely 5:31 AM on July 9 in 1357. The Holy Roman Emperor believed in numerology, and thought this palindrome (1357 9, 7 5:31) would imbue the bridge with added strength. The Prague Bridge was finally finished in the early 15th century, and has played a major role in the city’s history ever since. After leaders of a revolt were executed in 1621, their severed heads were hung from the Old Town Bridge Tower to deter future resistance. Swedes battled the Czechs on the bridge near the end of the Thirty Years’ War in 1648, attempting to advance into Old Town Prague. The Baroque statues that line the bridge today were added in the late 17th century and early 18th century. The bridge remained the only means of crossing the river until 1841, and the name was changed to honor King Charles in 1870. Despite the crowds, it remains one of the world’s most impressive medieval bridges, measuring 2,037 feet long and 33 feet wide, with 16 arches. As you pass through Old Town Bridge Tower and make your way towards Old Town Square, you’ll see the striking exterior of the St. Francis of Assisi Church. Located next to the Charles Bridge Museum, the church was opened in 1688 and designed by French architect Jean Baptiste Mathey. Owned by the Order of the Red Cross, the church’s Romanesque exterior and green domed roof stands out on the Old Town Prague skyline. The interior is even more impressive, particularly the Baroque-style fresco of the Last Judgement by famous Prague painter Wenzel Lorenz Reiner. The church’s floor plan is in the shape of a large cross, with statues of Bohemian patrons in the alcoves. There are also numerous other vivid paintings by Reiner, as well as Johann Christoph Lischka. The church is perhaps best known for having the second oldest pipe organ in Prague, which has been played by classical music icons like Mozart and Antonín Dvořák. St. Francis often hosts concerts by members of prominent opera and orchestra ensembles, as well as teachers from the Academy of Music and Prague Conservatory. If you want to see what Prague might have looked like 500+ years ago, head to the Old Town Square, which is the oldest and most important square in the city. Known locally as Staroměstské náměstí, the square’s history dates back to the 10th century, when it served as a bustling marketplace at the center of numerous European trade routes. Medieval-style markets are still held here numerous times each year, and the Christmas Market was ranked among the Top 10 in the World by CNN. The square has been the site of numerous significant historical events. Numerous Royal coronation processions traveled through Old Town Square on their way to Prague Castle. Hussite captain Jan Roháč z Dubé a ze Sionu was executed there in 1437, as were 27 leaders of the Czech revolt against the Habsburgs in 1621. 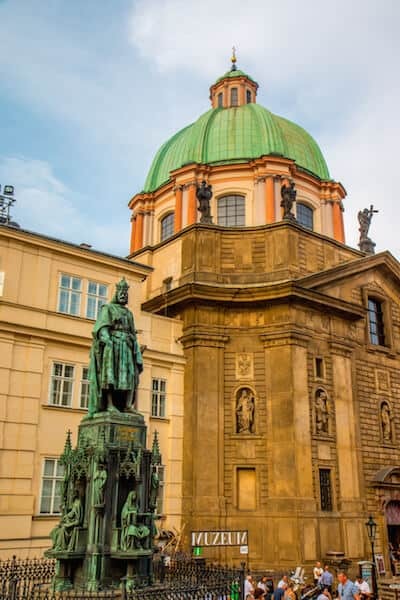 At the center of the square is a statue of Jan Hus, a Czech theologian and philosopher whose teachings were influential on Martin Luther and other European Protestant reformers. His execution led to the Hussite Wars (a.k.a. Bohemian Wars), which lasted from 1419 to 1434. 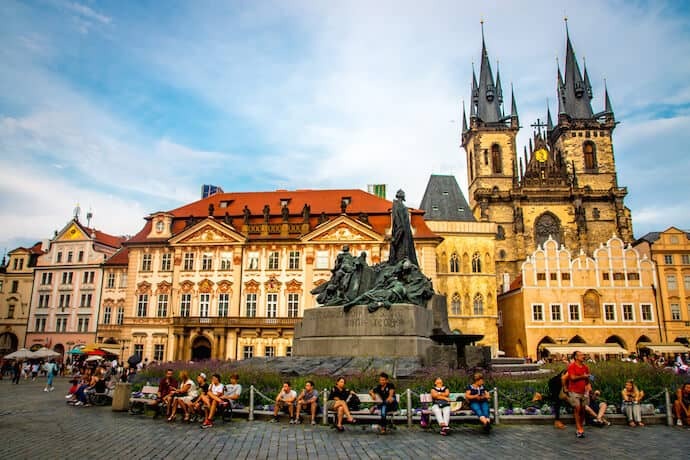 The cobblestone streets of Old Town Square are surrounded by historical landmarks, including the Baroque Church of St Nicholas, the Church of Our Lady Before Týn, the Old Town Hall (home to the oldest Astronomical Clock in the world), the Rococo Kinský Palace, and more. Though the square can get a bit crowded, especially on weekends, it’s a great place to wind down at the end of your 3 days in Prague. As we left the square, we made our way towards the Powder Tower, one of the 13 original city gates that separate the Old Town from the New Town (which, founded in 1348, is still really old). Constructed starting in 1475, the tower was intended to be an attractive landmark denoting your entrance to Prague rather than a defensive gate. It’s named for its primary purpose in the 17th century, which was storing gunpowder. The Late Gothic-era Tower was badly damaged during the 1757 Battle of Prague, and the exterior sculptures had to be replaced in 1876. As we passed underneath it and bid our ThinkPrague guide farewell, we were overwhelmed by all of the incredible sights we’d seen during our Prague walking tour. 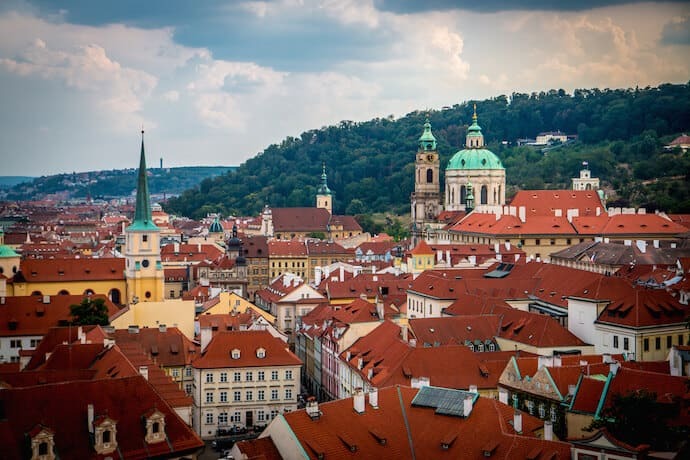 Although major cities still aren’t our thing, we would rank Prague right alongside Athens and Rome in terms of their historical importance, art, and architecture.